The Year of Luigi continued as Mario's sometimes forgotten brother gets his own take on Nintendo classic, Dr. Mario with, Dr. Luigi. The game will be available for the Wii U eShop on December 31 in the U.S. and on January 15 in Europe. The gameplay is a little different than the original Dr. Mario, but has those same elements and includes online player and multi-player. 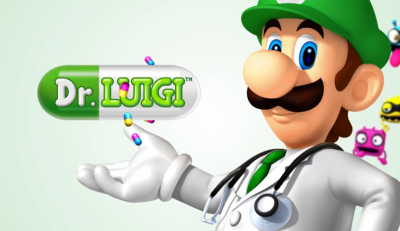 Dr. Luigi is a little easier than its predecessor in that four colors have to be matched instead of two. It is similar to Tetris, Snood, or Sega's Dr. Robotnik's Mean Bean Machine. There is a retro mode that goes back to the classic style of play in Dr. Mario. 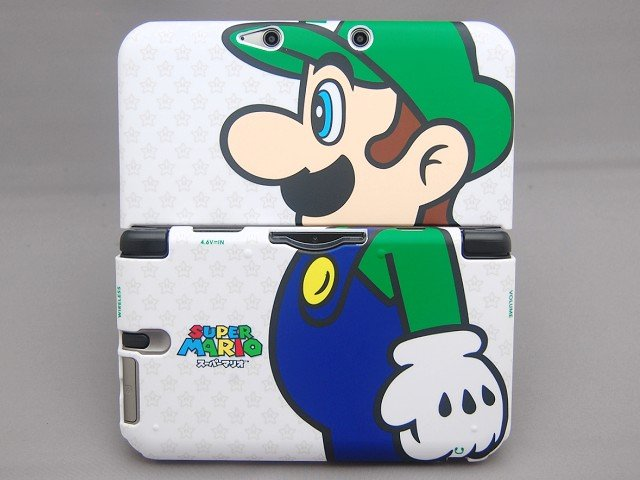 A special 3DS rubber case to commemorate "The Year of Luigi" will be debuting overseas for game retailer Play Asia. The case will come in two versions, one for the regular 3DS and the 3DS XL and will feature a side profile of Luigi's whole body profile minus his legs going across the face of both screens. Play Asia is also offering a nearly identical Mario side profile rubber case as well. The covers retail for roughly $22.99, see what it looks like here. Order it on Play Asia here. Currently Target is offering 3DS XL bundles for $149.99 until Dec. 21. The two different bundles available are The Legend of Zelda: A Link Between Two Worlds, which includes a digital download of the game along with a game themed 3DS XL model, and Mario & Luigi: Dream Team, with downloadable version of the game along with a game themed handheld. Luigi can also be seen in his own solo adventure for the 3DS, Luigi's Mansion Dark Moon, which was recently part of a 3DS bundle for Black Friday, along with the Super Luigi Bros. U for the Wii U, a spin-off of Super Mario Bros. U.
Mario's taller brother will also guest star in upcoming titles, Mario Kart 8 and Super Smash Bros. 4, as well as currently also being in Super Mario 3D World for the Wii U.